Country Living at it's Best! Charming 3BR, 1 & 1/2 bath farm House with an extra-large family kitchen, pantry, laundry room, main level master BR w/ Bath. Triple carport. Multiple barns and outbuildings: 6 stall stable, workshop/garage w/electricity, tractor shed, chicken house w/ electricity, tobacco barn and more. Large organic garden spot, fruit trees, berry bushes, creek, perfect pond site, and a bold spring. Outside trails for horseback or ATV riding. Long road frontage! 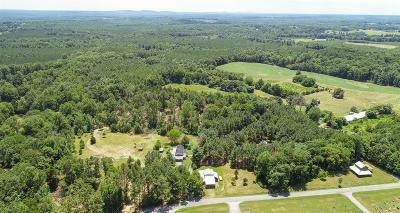 All of this is located on 15+ Acres in a quiet, serene setting on a country road, but just 5 miles from shopping, Gretna schools and hospital. Large addition built in 1969. Zoned R1, but A1 grandfathered in. Fairpoint Communications fast speed Internet.Many updates! Move-in ready!